I considered getting one of those systems for portable use a while back (like you, I can probably manage to point a dish in the right direction). Unfortunately, they use a set of several spot beams covering the UK, and don't (apparently) allow free migration between them - I think there was some talk of a £100 charge to get yourself moved between different spots. Fine if you're just pottering around the local area, but not so much if you're going to Scotland. Also, watch out for the AUPs and throttling policies - I think any kind of sustained transfer is likely to trigger them and land you with a much slower speed. I understand the footprints are actually quite big, and the fee was not that much when we asked but will depend on resellers I expect. There are also higher tariffs which list as "unlimited". Fine for local use, but not so much (potentially) for the seamless "go on holiday" scenario, which is a shame. I realise this is not the typical use case though! They are definitely doing something fairly aggressive: they block everything but ports 80 and 443, and proxy those. I see frequent RSTs when httptunnelling anything over 443, but that may just be a capacity limitation at the far end aging out older connections (since a web browser would just initiate a new connection: shame my SSH session can't do that). Ouch. That's nasty. If that's true, the fact that they don't offer Internet access (only web access) is not mentioned on their website in even the tiniest of tiny print. I'd be mightily unhappy to buy "...high speed Internet, everywhere and for all" only to find that I couldn't access vast swathes of the Internet. IIRC (it's been a while), they go so far as to say that terminal emulators in particular are 'ABSOLUTELY FORBIDDEN' in capital letters, so I guess low-latency interactive sessions interfere with whatever trickery they are employing. I guess we should feel lucky that the T&Cs are in English, rather than, say, Italian. They're just on display in the basement, in a locked cupboard, in a disused lavatory with a sign on the door reading 'BEWARE OF THE LEOPARD'. what attracted you to satellite? what do you want to do with it? 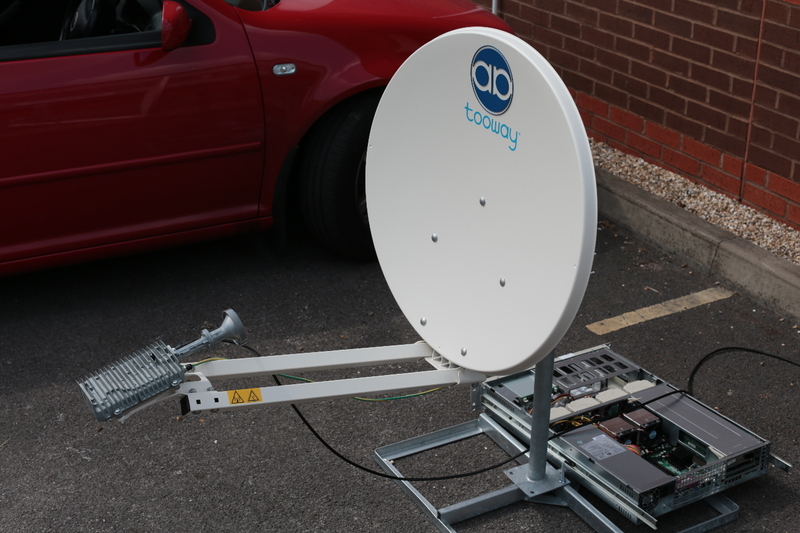 Trying to find clever ways to mix satellite and slow broadband or mobile to get best of both worlds and sell a service. You abandoned this idea then?